But this week, we heard from Kevin, and on the occasion of his website makeover, he allowed us to splash some new panels on the wall here at Thinking Out Loud. So we’ll definitely do one on next Wednesday’s link list, but I thought we’d also do something today. A big shout out this week to the people who track me down and submit link suggestions. Weekly deadline is 6:00 PM Eastern on Mondays. To view clickable links for all that follows, read the Wednesday Link List at Out of Ur. …and a more recently posted trailer for a documentary exploring “the promise of evolutionary Christian spirituality,” with interviews with “a dozen leading theologians and progressive thinkers.” The 7-part DVD series is titled Painting The Stars. It’s not just a Catholic problem; a group is actively protesting to push for the ordination of Mormon women. “Christians in the Middle East are hostages in the hands of Islamic forces.” “Many of Israel’s Christians feel that their history, culture and heritage have been hijacked by Muslim Arabs in the region.” Read more at this report from a recent conference. Sometimes in the quest to free ourselves from the constraints of religion, we discover we’ve simply immersed ourselves in a different form of religion. Thanks to Canadian blogger Michael Bell, I was finally able to track down data on megachurches in Canada, a much shorter list than its U.S. counterpart. 1-Source, a collaboration of four Christian publishing companies will offer titles by established authors like Bill Myers and Brandilyn Collins, as well as self-publishing. David and Goliath becomes the theme of a TED Talk, but this explanation of the story is a little different from the one we know. Essay of the Week: From right here at Christianity Today, Andy Crouch on the power we confer to those in church leadership and why it matters. Find of the Week: Christian cartoonist Wes Molebash whose adventures with JP and Miles at the fictional Paper City Church make up the comic Insert Image. …while Shane Claiborne remembers the original Francis. 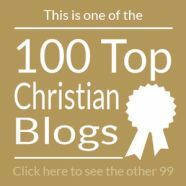 There is so much to read at the blog of Samantha Field that it’s hard to just link to one post, but here’s 15 things you shouldn’t say to a recovering Fundamentalist. Apologetics in part involves responding to Christianity’s critics, and these are some interesting responses. One year ago at this time, I was crusading to get a classic book on the history of teaching about the Holy Spirit put back in print. Not only does a portrait of Jesus have to be removed, but an Ohio school district has to pay the ACLU’s $80,000 in legal costs. Ecclesia Church in Houston, Texas is producing a number of quality videos to go along with a dramatic reading of chapters in Genesis. I think this was more common in a previous generation, but why not today? Praying for your children’s future spouses. In some conservative Christian circles, the phrase “Guard your heart,” has an entirely different spin with consequences the writer of Proverbs never intended. Jamie The Very Worst Goodwill Ambassador articulates her ambivalence after a tour with World Vision. In the spirit of what’s termed Paul-Timothy relationships, Donald Miller suggests you should take your cues from people notably older than yourself, not your peers. She “is a girl, just like you and me, who made a mistake. She knows when you are talking about her. She knows when you are looking at her and judging her.” An insider look at birth-mothers. Don’t roll your eyes, but it’s one more Arminianism vs. Calvinism comparison. For Italians, the name Simone Saltarelli denotes both a well known motorcyclist and a figure in Catholic church history. 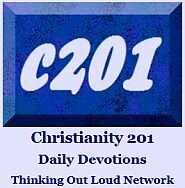 The 2013 Catalyst Conference, as covered by the hometown newspaper, or more relevant details at Christianity Today. Lost Song of the Week: Standin’ in the Need of Prayer by Deitrick Haddon and the Voices of Unity; a flashback to 2004. 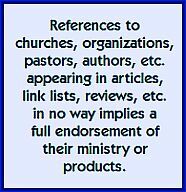 Christianity Meets Culture: A blog featuring “reviews and news on the board gaming industry from a ministry point of view.” Not surprisingly, it’s called Theology of Games. Back on the comic front, nearly seven years and more than 1,100 panels later, the UK’s Jon Birch is still cartooning at ASBO Jesus. Another brilliant post from the UK website ASBO Jesus. If you remember Cornerstone Magazine after which the festival was named, you might remember the Oboe Jones comic by Kevin Frank which appeared 27 times in the mag. In 2011, Kevin uploaded all the comics. You choose an edition and then click on the image, and then click the little magnifier thing to see it full size. Now, I know Kevin doesn’t like it when bloggers embed his stuff — physically impossible with these anyway — so you’re going to have to click through for this one, but the particular link here is a great memory of the Cornerstone Festival, in this case the one from 1994. (But somewhat representative of all of them, the last one I attended being 1986.) If your internet connection can handle something 5,000 pixels wide, click through for Postcards from the Web. (The teaser sample here is just a very small part of a much larger scene.) You might even find Waldo, though I’m not sure if Waldo is there to be found.